The Bible teaches that no one can know the date of the Lord’s return. But, did you know the Bible also teaches that we can know the season of the Lord’s return? And, did you know that we are living in that season? 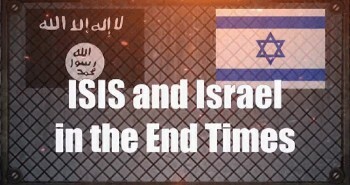 The signs of the end times do indeed point to the soon return of Jesus! 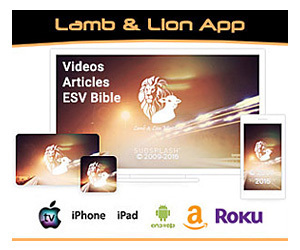 The message I am about to share with you is the basic message of Lamb & Lion Ministries and which I have covered in three episodes of our television program, Christ in Prophecy. It’s the message that God placed in my heart in the late 1970s, and it began to churn inside of me until I could contain it no longer. That’s when I decided to leave my career in higher education and step out in faith to proclaim this message to as many people as possible as quickly as possible. My feeling in those days was exactly like what the prophet Jeremiah experienced when he wrote that the message God had given him had made his heart like a burning fire shut up in his bones and that he was so weary of holding it inside of him that he could no longer endure it. In response to that scripture, let me ask you this. Are you living looking for the appearing of the glory of our great God and Savior, Christ Jesus? That’s what this verse tells us that we’re to do. 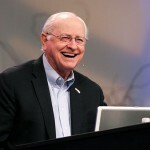 Christians are to live with an expectation, live with a yearning, live with a hope that Jesus may appear at any moment. I know from experience that most Christians do not have that hope in their hearts. I know that most Christians are rather apathetic about the return of Jesus. I suppose one of the major reasons for that apathy is the fact that people have heard about it for so long that they have come to take it for granted. Oh, yes, they believe Jesus is coming back, but they think it’s an event that will occur at some point in the distant future. The Lord’s return is not an imminent reality to them. Rather, it’s sort of pie in the sky, a dream, a hope. They think, “Well, maybe He will return a 1,000 years from now, or maybe 2,000 from now, but certainly not now.” Others are just absolutely convinced that there is not anything that we can know about the coming of the Lord, and therefore there is no reason to even think about it. No reason to worry about it. No reason even to talk about it. Let’s talk for a moment about the timing of the Lord’s return. Is there anything we can know about the return of the Lord Jesus Christ? 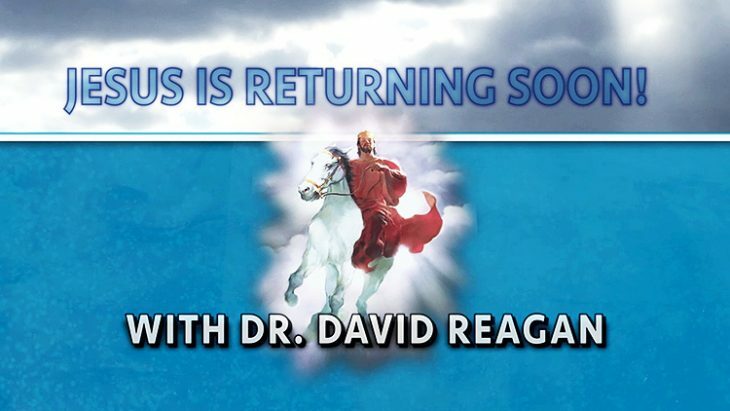 Can we know, for example, when Jesus is going to return? If you had asked me that question about 45 years ago, I would have said, “No, absolutely not! 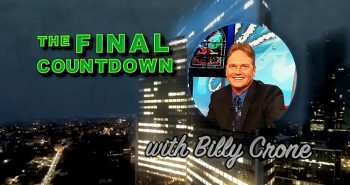 There is not anything that you can ever know about the Second Coming of Jesus.” But, after 45 years of intensive study of Bible prophecy, I’ve come to a different conclusion. When people ask me now, “Can you know when Jesus will return?” My answer is, “Yes and no.” No, we cannot know the date. Yes, we can definitely know the season. I don’t know how the Scriptures could be clearer about this point. We cannot know the date. And yet, there are a lot of sincere people who are setting dates. I do not doubt their sincerity, but they are sincerely deceived. And, the closer we get to the coming of the Lord Jesus Christ the more of these people there are going to be because Satan is going to motivate people to set dates. You see, Satan loves date-setters because they bring discredit to Bible prophecy. You know how it works. Somebody sets a date. People get their hopes focused on that date rather than on their Savior. They become obsessed with the date, and they run around all over the place talking incessantly about the date. The press picks up on the story and focuses in on the date. And, then, the date comes and passes, and the press heaps ridicule on both the Bible and those who believed in the date. The individuals who put their faith in that date are embarrassed and they become embittered. They say to themselves, “Well, I’ll tell you one thing, I’ll never do that again!” And, then, when a responsible prophecy teacher comes along and says, “I don’t know the date, but I do know Jesus is coming soon.” They say, “Oh, sure, I’ve heard that nonsense before.” And they refuse to listen. They turn off their ears to God’s prophetic Word. Satan loves it. The closer we get to the return of Jesus, the more of these date-setters Satan is going to raise up. The effect will be like the person who constantly yells, “The wolf is coming, the wolf is coming, the wolf is coming!” And he continues to yell it until guess what? Everyone decides to ignore him, and then the wolf comes. Jesus is coming soon. We need to be aware of that. We need to keep in mind that although no one can know the date that Jesus will return, we can know the season, and it is my contention that we are currently in that season. In the second part of this series proving the fact that we are now living in the season of the Lord’s return, I will present Scriptural proofs. I look for Jesus any day and I want to see the one who died for me, I just wish everyone was ready. I hope he comes in my life time and I believe he will, and I hope and pray he will. I long to see him. I appreciate Lamb & Lion’s discussions on the truth of the World, it beats any other website where people are absolutely clueless of things to come. 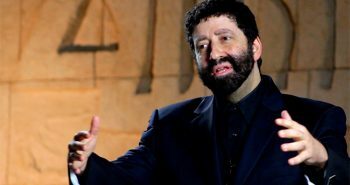 After finishing the Book of Daniel, we come to the end of the chapter and look back over the kingdoms of men, we must affirm the observation of biblical scholar Dr. H Leopold who wrote, “Each new combination of forces or nations that has tried to achieve the result of a lasting kingdom invariable meets with the same overthrow! ” So history is a succession of defeats. But for the one who knows Almighty God there is hope. Today we are living on the threshold of that age to come. The days of mankind’s rule on earth are nearly over. It is almost time for the arrival of the stone cut out without hands. 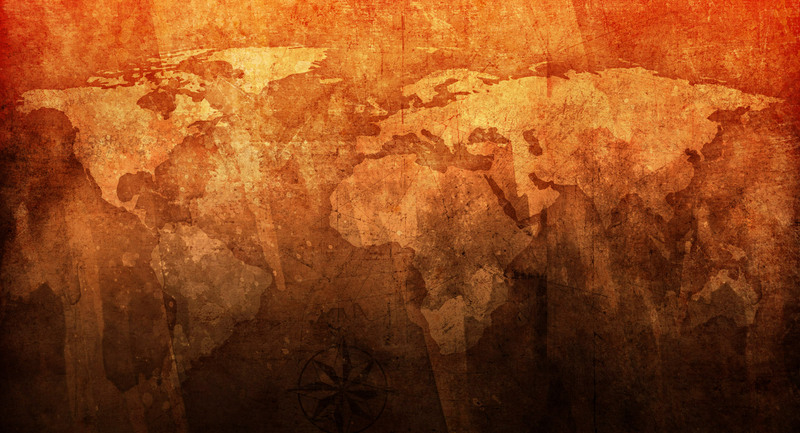 We should not be discouraged or depressed that the end of earthly kingdoms will soon come, but rather encouraged and elated that the glorious kingdom of Christ will soon begin. Study, Agents of Babylon, Dr. David Jeremiah. Awesome, so grateful I am a believer. THANK YOU DAVID FOR YOU PASSION AND HARD WORK TO SHARE THIS AS WE NEAR THE DAY. Good article. Will Jesus return soon? It all depends on what soon means. Based on these synonyms, if someone says to you that Jesus IS coming soon, he must have has some insider information because he is actually saying it will be within the next few minutes, or so, certainly not much longer than that. Soon does not imply delay or long period of time. 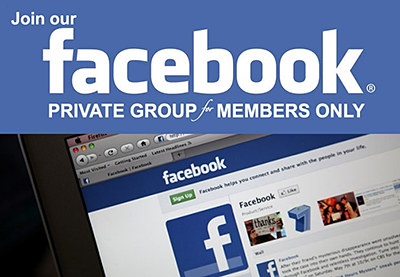 when the sons of God are revealed (Rom. 8:21-23). In other words, the creation will be delivered from corruption at the same time Jesus raptures the sons of God from the earth. Like you, I believe His return will be soon, but soon after certain events take place. They are found in Luke 21:25,26. When the church “SEES THESE THINGS, Jesus says to look up because, “imminently,” the Lord will come and redeem our bodies (redemption) as Luke records (Luke 21:28). The pre/post trib issue continues to be debated and living in this corrupt world would indeed welcome a soon to be rapture of the church. But we may have to wait at least seven years. Jim, though we disagree with your conclusions, we appreciate you sending us your end time interpretation. Praise the Lord that Christ’s gift of salvation is not dependent on one’s eschatological viewpoints. 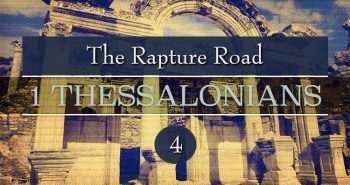 For information on why we believe the Pre-Tribulation Rapture is the best argument for the timing of the Rapture, please check out these articles on our website at http://www.lamblion.com/articles/articles_rapture7.php and http://www.lamblion.com/articles/articles_rapture4.php and our “Christ in Prophecy” shows posted at http://www.lamblion.com/television/programs.php#Rapture. 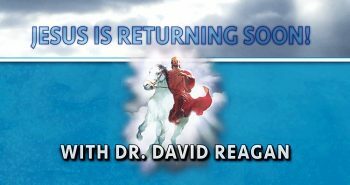 We also have two short Inbox videos explaining the Rapture at http://christinprophecy.org/sermons/the-inbox-20-is-the-rapture-and-second-coming-the-same-event/ and http://christinprophecy.org/sermons/the-inbox-21-why-do-i-believe-in-a-pre-trib-rapture/. Thankyou Nathan, Great scriptures to read, God’s word is Truth and Hope, that’s why observing the signs are so important, and God made us aware of them. Our final Chapter in Agents of Babylon. Daniel, Apostle John, and Jesus Himself all foretold that one more kingdom would rise before the end. That kingdom will be in some way a rebirth of the Old Roman Empire, but it will have at its heart the anti-God spirit of Babylon. We can see that this prophesied end of history may well be on the horizon. The indulgent and licentious casting away of biblical standards we now see in the Western World, coupled with the rise of the oppression against Christians and the increasing godlessness and autocratic control of government, are signs that storm clouds are gathering, and the shadows of future prophetic events are beginning to darken the present. We are not told the hour of when it will happen, but the signs suggest that it could be very soon. The Lion of the Tribe of Judah is coming, not as a Lamb but as a Warrior next time. I believe Dr Reagan is spot on with the convergence of signs. Watching the rapid build up of weapons of mass destruction from foreign nations, and the mobilizing of an army within the US to essentially overthrow our democratic process or destroy it with an economic collapse via government overreach (which I believe we will not be present for). Or the apostate church taking the US down as we continually change the meaning of Scripture. As far as timing is there a study on the feasts of the LORD in relation to his fulfillment on his first coming and will he not fulfill his second coming at the Feast of Trumpets? I believe this was a belief held by the late Chuck Missler. Thankfully He has delayed his return until I and family and friends have accepted Him and still praying for others. As you often say, Maranatha, maranatha, maranatha. Regarding the rapture of the church i believe as set out in the feasts of the Lord which is set out in detail for us. The Lord Jesus has forfilled every feast from the feast of passover and the next feast that must come is the feast of trumpets. 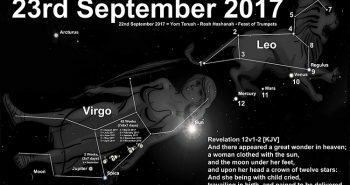 Which no one knows exactly which day it takes place only on, but on the siting of the new moon , which must be confirmed by several witnesses. There is no date for this feast but it occurs in September. Why would Jesus complete each of these feasts in chronological order and not the feast of trumpets. When do you think that the times of the Gentiles ends? Upon Jesus’ return at the Second Coming when he defeats the Antichrist and sets up His Millennial Kingdom. Christ will seize the reins of earthly government in His own sovereign hands. He will fill the earth with His presence, power, and glory, and the familiar prayer, “Your kingdom come, Your will be done on earth as it is in heaven”. Matthew 6:10 will at last be answered. We are all living with great expectations of the Lord’s coming, people are talking about it more and more. The signs are more obvious everyday, and Jesus prophetic words which are being fulfilled to the letter.